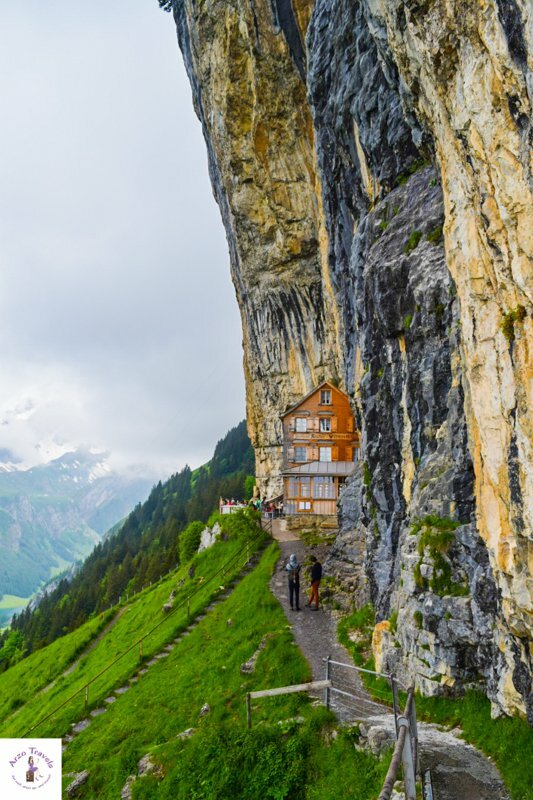 Appenzellerland is probably one of the less famous places in Switzerland, which does not mean it has nothing to offer. Actually, there is quite a bit to see. 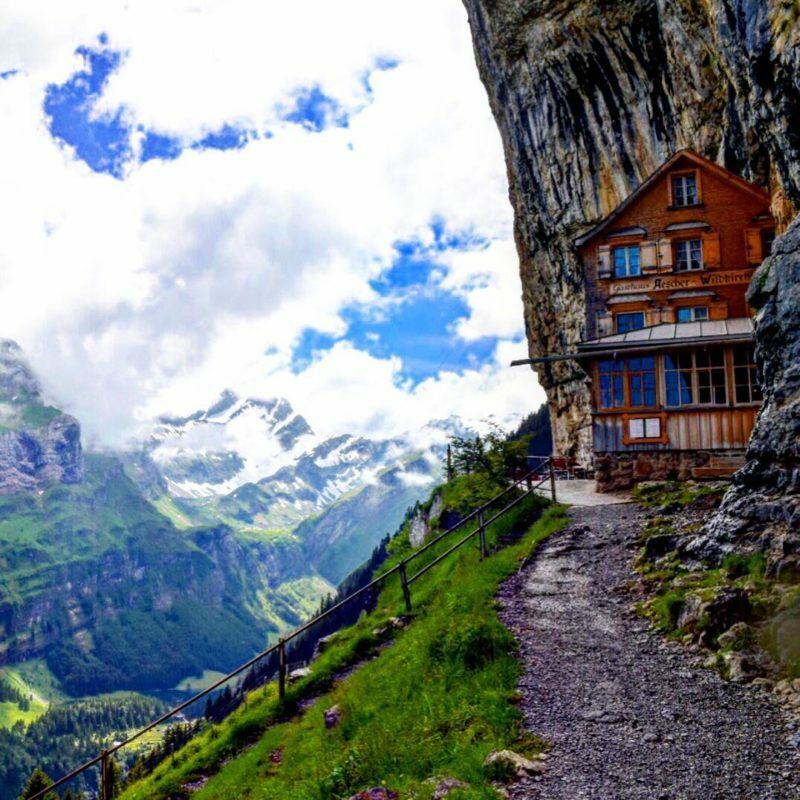 Appenzellerland (consisting of Appenzell and the Alpstein mountains) is located in the north of Switzerland, close to Germany (the main language here is German). 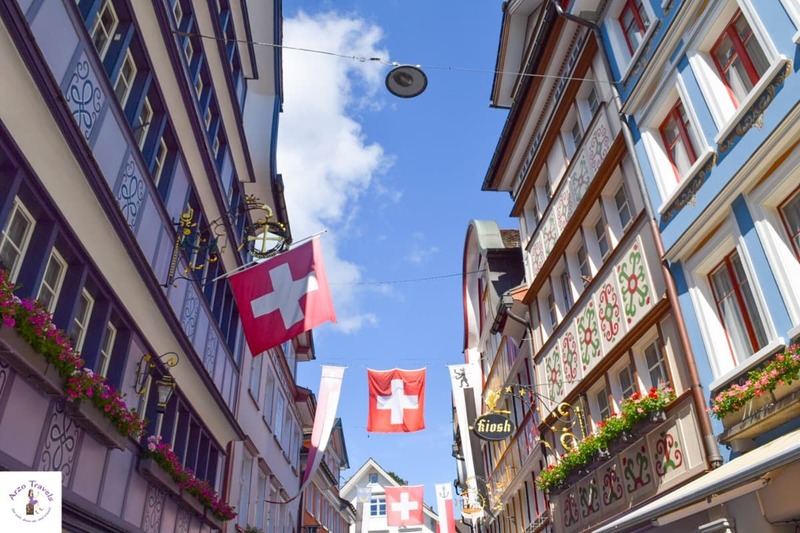 It is one of the most original parts of Switzerland, with a beautiful old town and a stunning scenery. 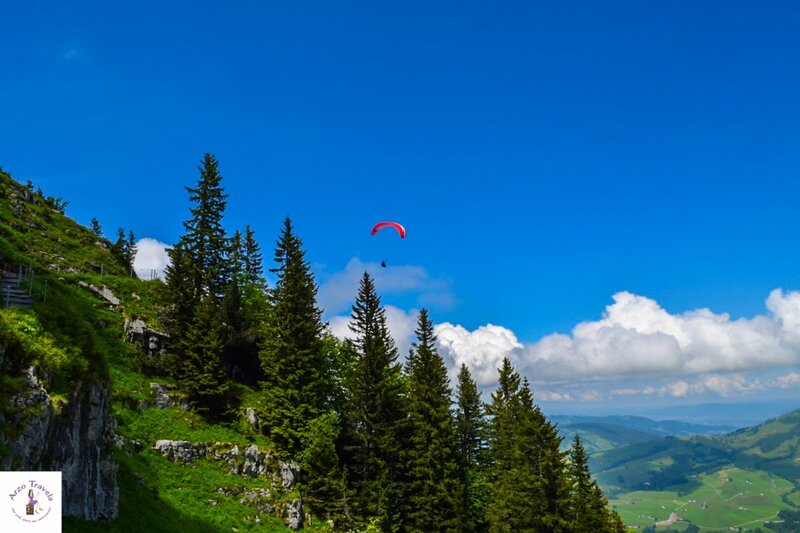 It is a paradise for nature lovers, hikers, and for small town- and outdoor sports lovers. 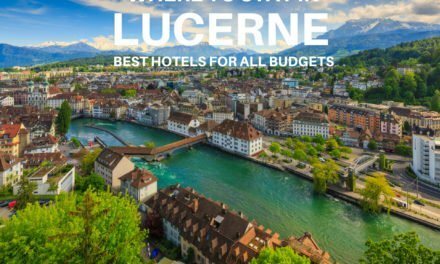 I stayed for about 36 hours in Appenzell or better in Appenzellerland and this is my recommended itinerary for about 36 hours in Appenzellerland and you´ll also find a tip for accommodation. 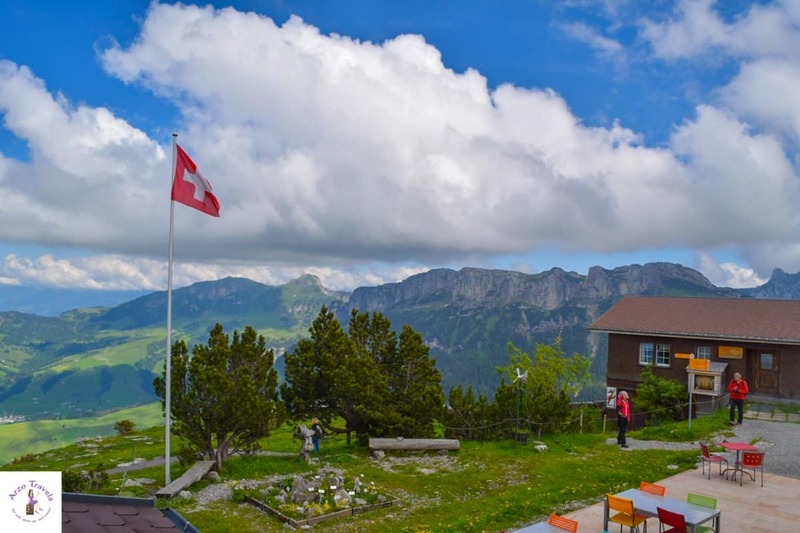 If you enjoy hiking, I would definitely recommend starting with hiking up Ebenalp (about 1,600metres height) – or at least getting up Ebenalp by cable car. 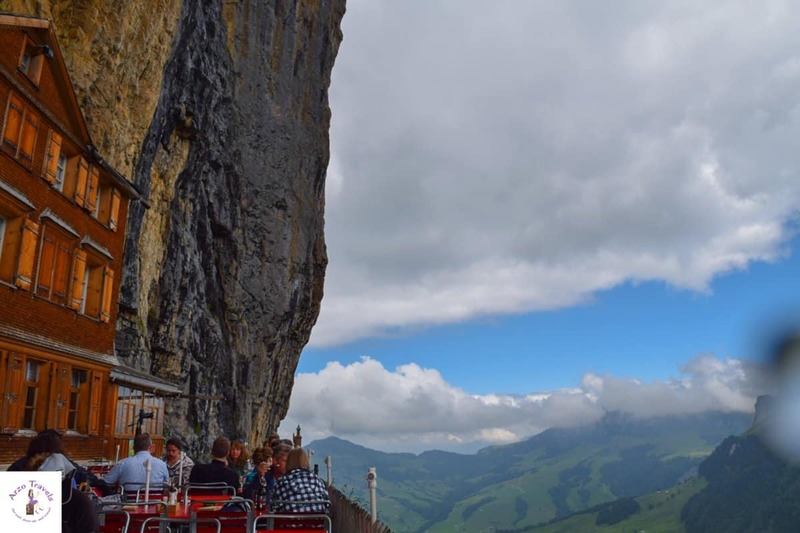 You can go by car or train (or walk) to Wasserauen (about a ten minutes drive from Appenzell) and then hike up to the top of the mountain. 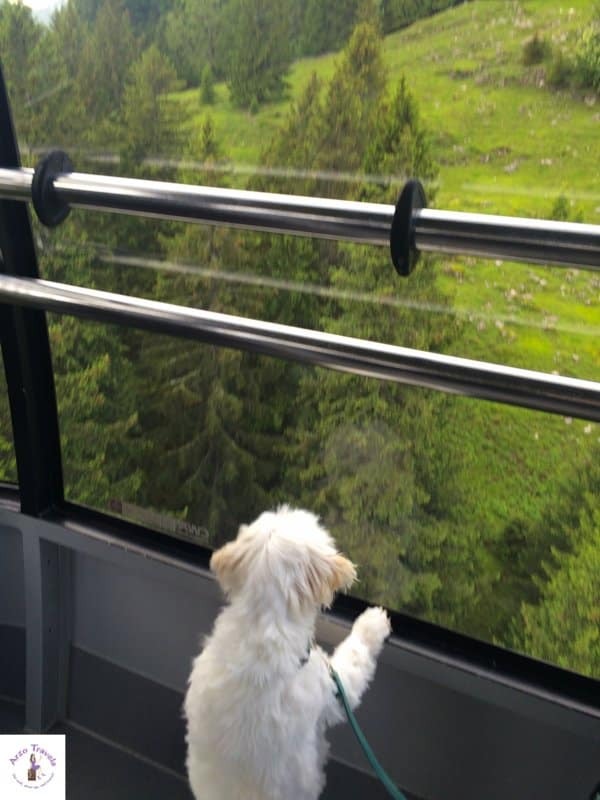 If you are not that much into hiking (like me, you can use the Ebenalp cable car to get up in just a few minutes, return tickets around 30€, save money with a Swiss Travel Pass). If you get off the cable car you can either hike up for 5 minutes to reach the top of the mountain. On the top of Ebenalp, you will find a guest house, Ebenalp, to sleep or, at least, to have a drink/lunch etc. with great views. I stayed there actually for one night and you can find my review of a hotel in 1,600 meters height here. 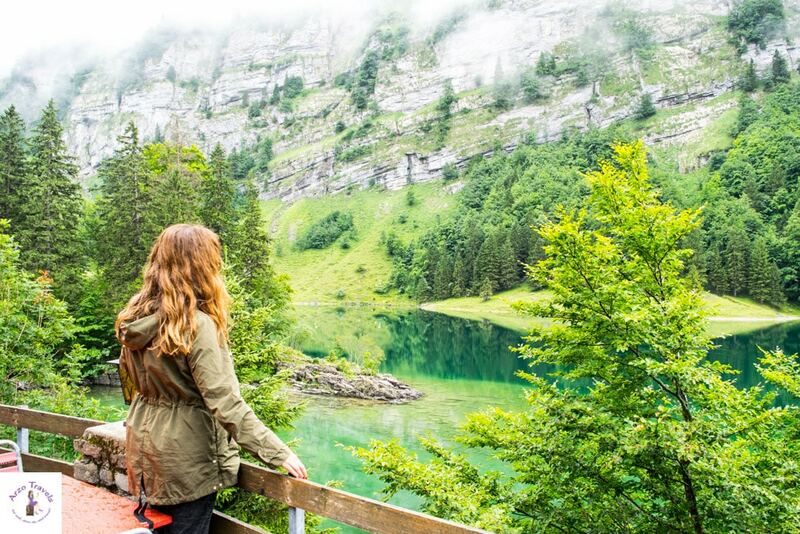 You can overlook Lake Seealp, for example, or you can enjoy the Alpine garden by the guest house. After a coffee there I would recommend hiking down. 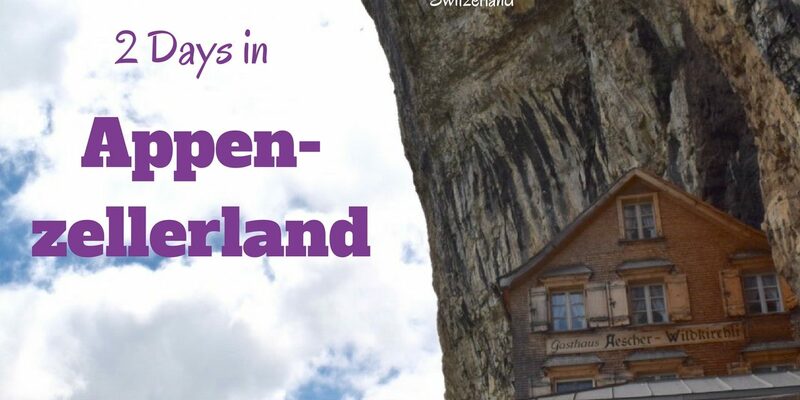 To date, I visited Ebenalp and Appenzellerland twice. Both times, the weather was not perfectly clear, but on my first trip I was still kind of lucky with the weather that day (when I got up it was raining but the next day was not and the weather was just nice though a bit misty) and spotted many hang- and paragliders. Actually, it is not that surprising since it is a paradise for outdoor sports and well known amongst outdoor lovers. If I had not been there with my dog I would have made sure to book such a tandem flight as well. From the top of Ebenalp mountain I started hiking down – after about 15 minutes you will pass Ebenalp Wildkirchli. 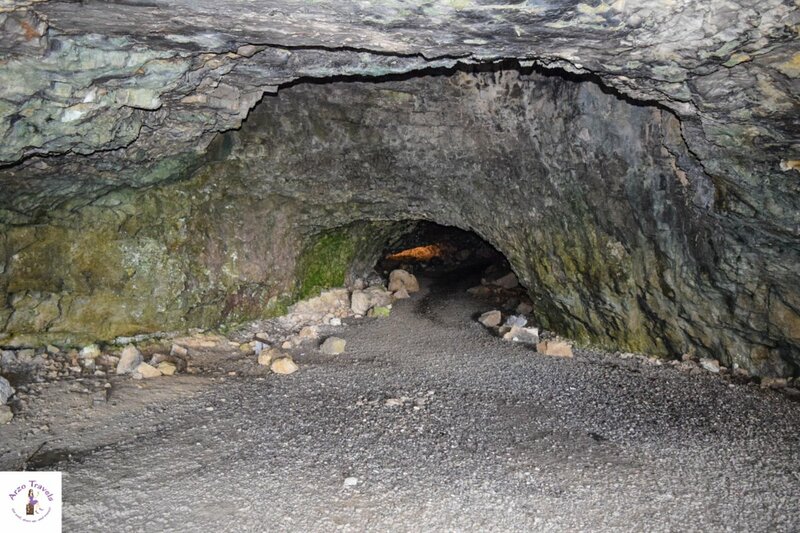 Ebenalp Wildkirchli (height of about 1,500 meters), is a prehistoric cave and is free of entry charge. Just a small part is narrow, most of it is easy to pass and it is just a short walk. It used to be a hostel, you can still, as I did it, just have drinks or eat typical Swiss food (as a vegetarian, there was little choice, but the Rösti is a good alternative). 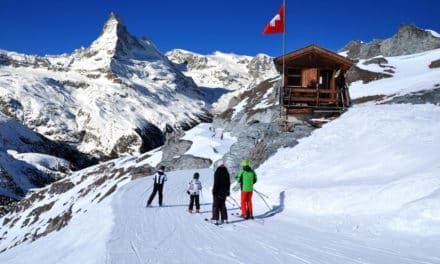 The Aescher is actually not fancy – it is a simple building (with cool toilets though) and great to have a break and enjoy lunch with a view. If you walk behind the Aescher you have a beautiful view of Lake Seealpsee. Update: On my second trip I hiked down to Lake Seealp – it was totally cloudy and foggy and despite the fact that it was hard to see much the hike down was absolutely great and it was fun to meet cows along the way, and then, finally, arrive at the beautiful Lake Seealp which looks much better from close distance than if looking at it from above. It takes more than an hour and since it was foggy and wet, the hike was not very easy. 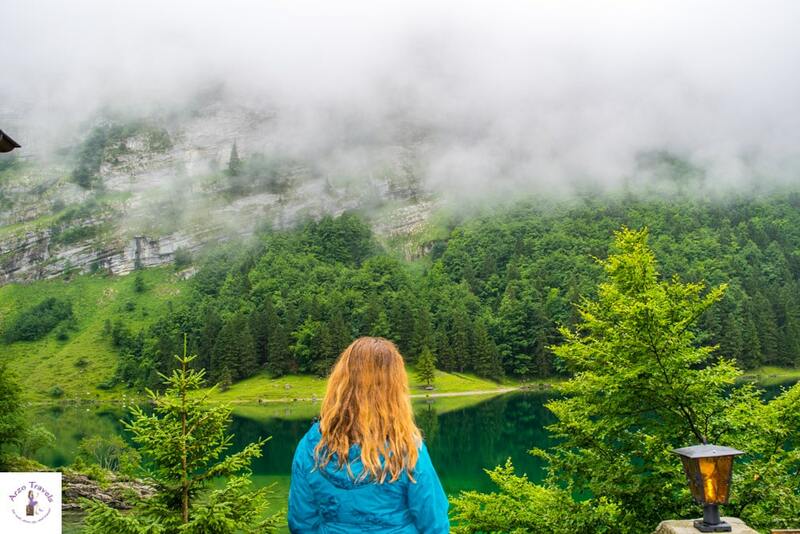 I am sure it is much easier on a clearer day – however, it was definitely worth it as Seealpsee is beautiful and there are more restaurants to spoil yourself with some coffee/tea. From Seealpsee to the Wasserauen station/parking space takes another 20 minutes and though it is mostly a paved street the hike is quite exhausting as it is very steep. If you hike and take your time, you will easily spend here one full day. If you get up by the cable car, it will take less time, but allows you to relax more. 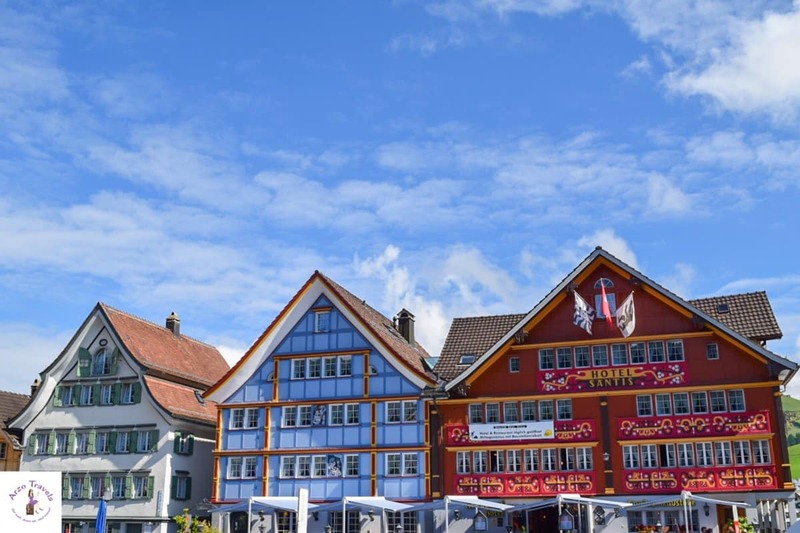 There are actually some free tours offered for the Appenzell town center but only on certain days, so check the website if you are interested in joining such a tour. For the second day in Appenzellerland, I definitely recommend exploring the town center, which is (very) small, but charming. 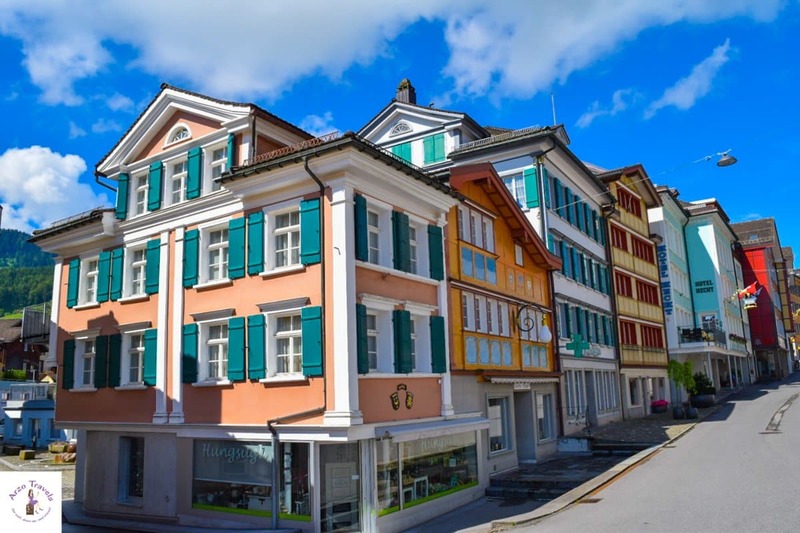 Appenzell is probably one of the most colorful and cutest towns, with perfect pretty houses still clearly influenced by Swiss tradition. The “Hauptgasse“ is the main attraction here, and you can get lost here for a while, though I would also recommend a stroll by the river. I got a bit sick and wanted to get some medicine from the pharmacy – the town is so cute and small that the pharmacy was not open in the morning. 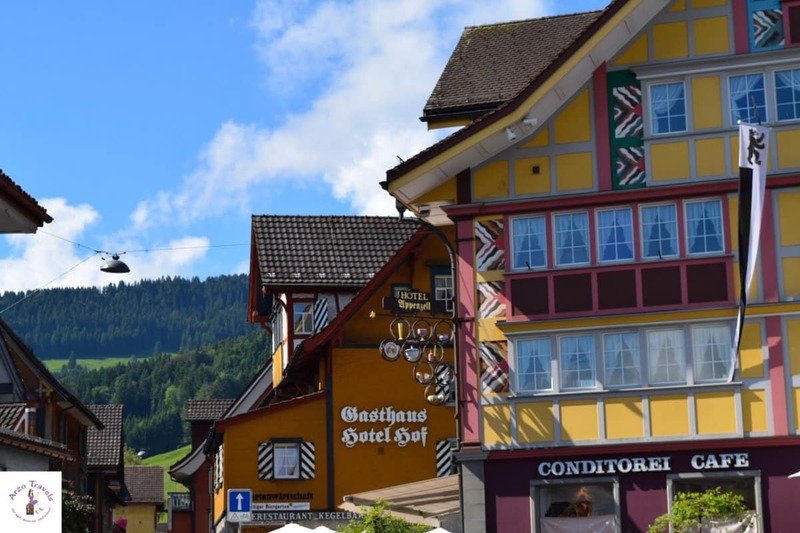 I would recommend visiting one of the very cute cafes and restaurants where you can watch, the definitely not hustle and bustle, but quiet town life of Appenzell. Coming from a “bigger” city in Germany I am totally not used to this kind of quiet and relaxed lifestyle and it impresses me every time to see small and original places where it seems time has stopped and everything is so peaceful. Read About the 15 Most Colorful Places in Europe! 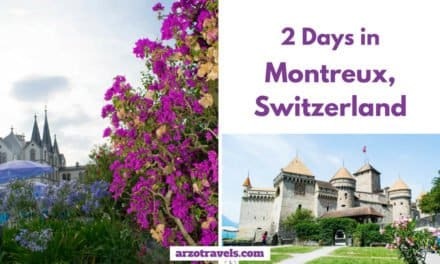 Paradise for cheese lovers: I am not a cheese fan at all (as a vegetarian and someone who does not like cheese life is not very easy sometimes in smaller places in Switzerland) but this seems to be the heaven for cheese lovers as well. I spotted a couple of manufacturers (not even sure if you can call them like this) where you can get a tour and get informed about cheese production. 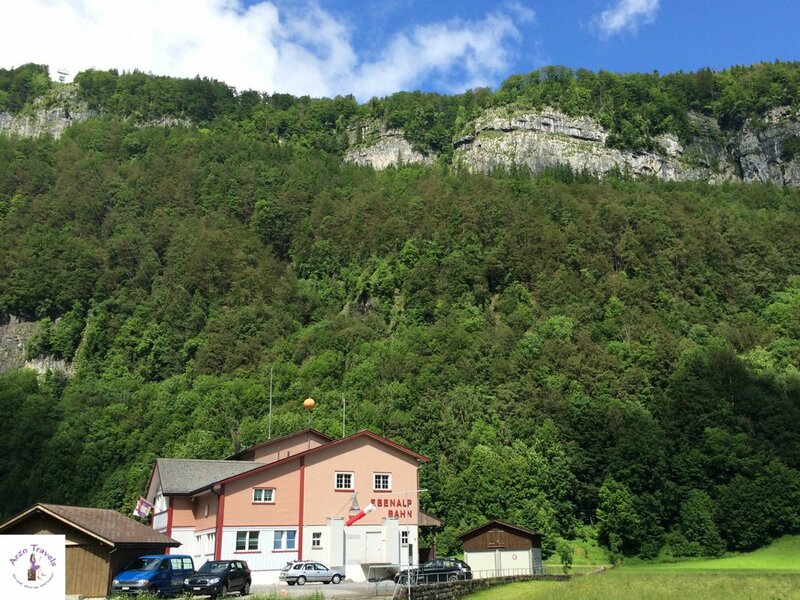 I enjoyed a night at Gasthaus Hotel Hof in Appenzell and 1 night at a guest house (and I also dined there) at Ebenalp. 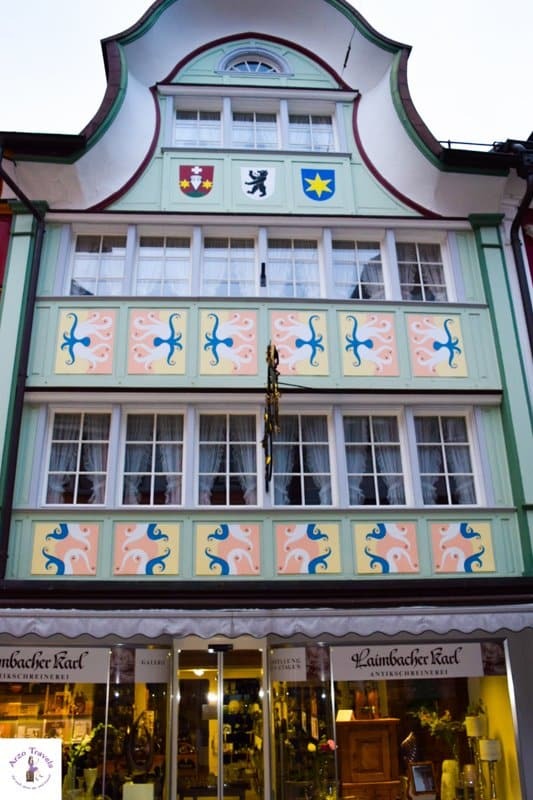 The Gasthaus Hotel Hof is perfectly located in the town center (with free parking space) and you are could hardly be located more closely to the market square. I arrived quite late and left quite early the next morning so I did not spend a lot of time there but if you are looking for a friendly, welcoming family run hotel this might be a perfect choice. Not surprisingly for Appenzell it is a bright and friendly building and has its own restaurant where I ate something first and learned about the warm hospitality of the hotel and the friendly staff. As a vegetarian, who does not like cheese, I did not have the biggest choice but I was happy to enjoy my first Rösti in Switzerland on this trip. 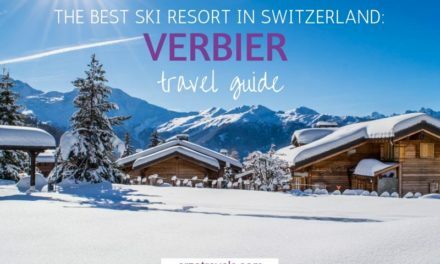 You can choose among several room types (single, double or multi-bed-rooms), all include an own shower, toilet, TV, and hairdryer, and the prices are for Swiss standards still okay. I had a single room (with two beds, however) which was spotlessly clean and I really had a good sleep there. It is dog-friendly (since I visited with my dog) and definitely a hotel I would come back. Disclaimer: I was invited by the Appenzeller Tourism Board, however, as always the opinion is mine. This post also contains affiliate links, this means I might earn a small commission if you book any services/products via my link (at no extra cost to you). 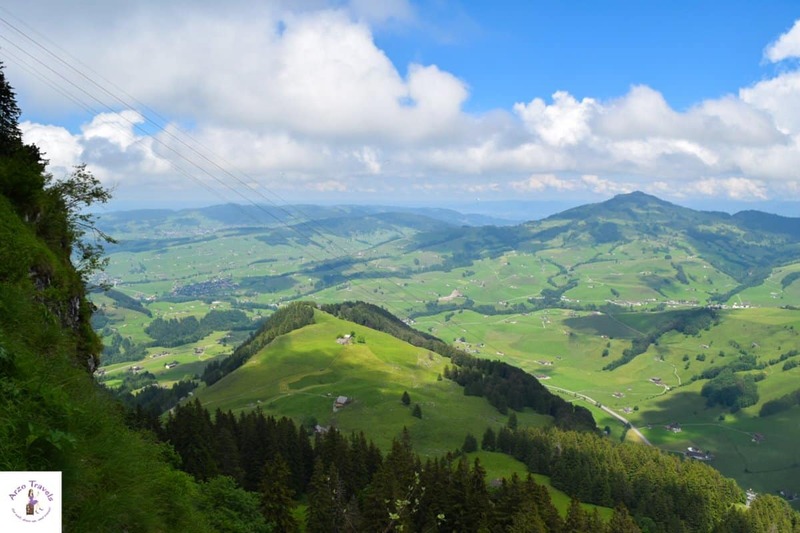 36 Hours in Appenzellerland in Switzerland – for more about Appenzellerland check out the website.